Oh how we love a pretty fabric headboard to complete the look of a chic boudoir! So many fabrics and styles to choose from so we have narrowed it down to a few favorites that vary in price to fit your budget or fulfill your splurge. Completely obsessed with nail heads and clean lines, these beauties will give your boudoir a masculine or feminine flare, making your space inviting and relaxing. If you don’t have one well, you need one– go go go! 5. 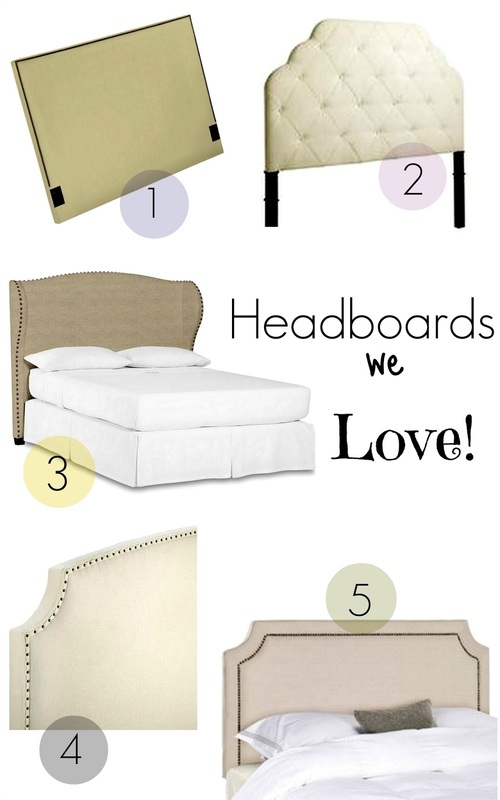 Target Clip Corner Nailbutton Headboard// $190, On Sale Now!